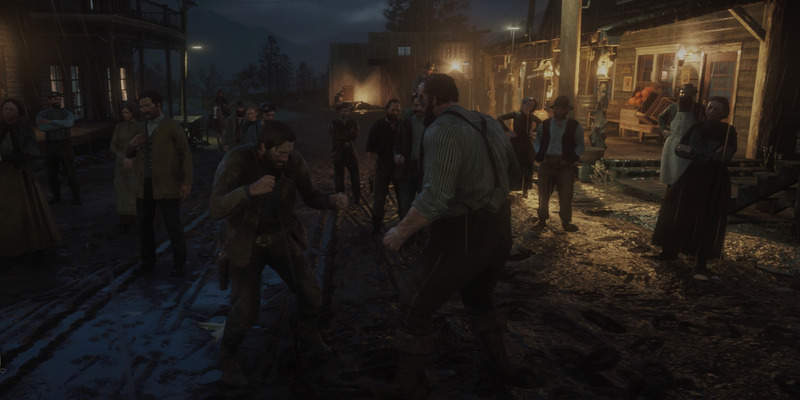 The biggest game of 2018 – a long-anticipated sequel from Rockstar Games, the folks behind “Grand Theft Auto” – is a surprisingly downbeat, maudlin affair. 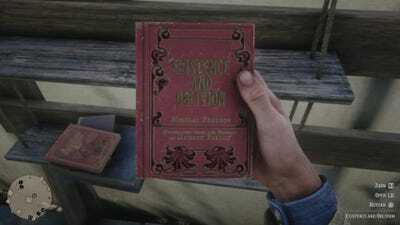 After spending about 30 hours exploring Rockstar’s fictionalized 1899 America, I found a gorgeous, deep, surprisingly slow-paced experience that focuses on one man’s journey of self-realisation. “Outlaws for life” sounds like a battle cry, but in “Red Dead Redemption 2” it’s actually a desperate attempt to hold together a lifestyle that’s rapidly becoming untenable. Rockstar Games/Take-Two Interactive‘For life’ may not be so long. Like “Grand Theft Auto 5” before it, “Red Dead Redemption 2” is an incredible achievement. Also like “GTA,” this game is a clear step forward for the entire medium. 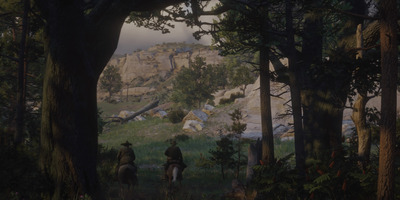 Where “Red Dead Redemption 2” distinguishes itself from Rockstar’s past works is in tone: “Red Dead Redemption 2” is somber, and subtle, and slow – for better or worse. It’s a game that feels Important™, with all the grandeur and monotony that connotation evokes. It all starts — and begins to end — with a job gone wrong. “Red Dead Redemption 2” stars Arthur Morgan, the playable character and “protagonist” of sorts. But it really stars a wide cast of characters that make up the Van der Linde Gang. The gang is Arthur’s home, embodied by a roving encampment that acts as a mobile headquarters for operations. It’s where Arthur sleeps, eats, drinks, connives, plots, bemoans, and much more. But ever since a botched robbery that happens just before the game kicks off, the gang is on the run. Supplies are running low, as is cash, and it puts the gang in a tight spot: on the run with nowhere to go and little in the way of sustenance. It’s this desperation that sets the tone for “Red Dead Redemption 2” – the feeling that there’s no escape other than death. 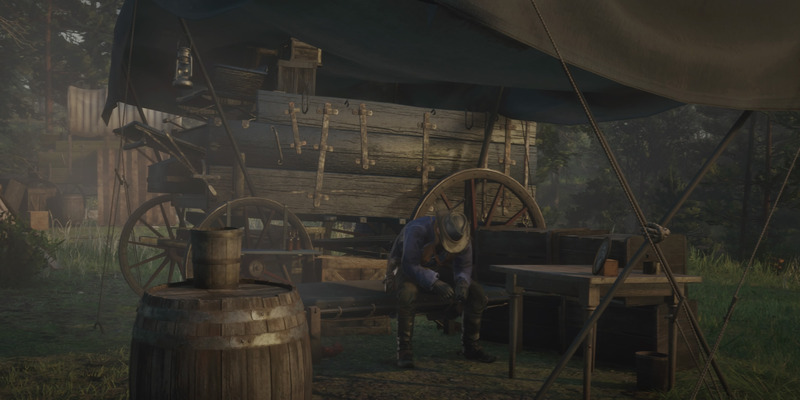 There’s bad luck and regret around every turn in “Red Dead Redemption 2.” For every few steps forward the gang takes, another wallop sets them back far further. There’s a sense that you’re playing through the gang’s last ride into the sunset. It’s often beautiful, and sometimes touching. It’s also about as far from the black-and-white world of classic Westerns as you could imagine. 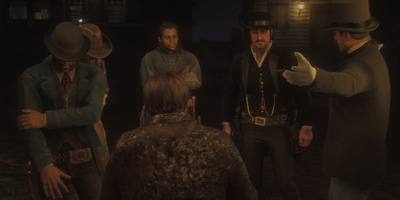 Moreover, Arthur is questioning the increasingly murderous acts of himself and the gang. A man and his horse. Much of my time with “Red Dead Redemption 2” was not spent shooting, robbing, or being an outlaw. 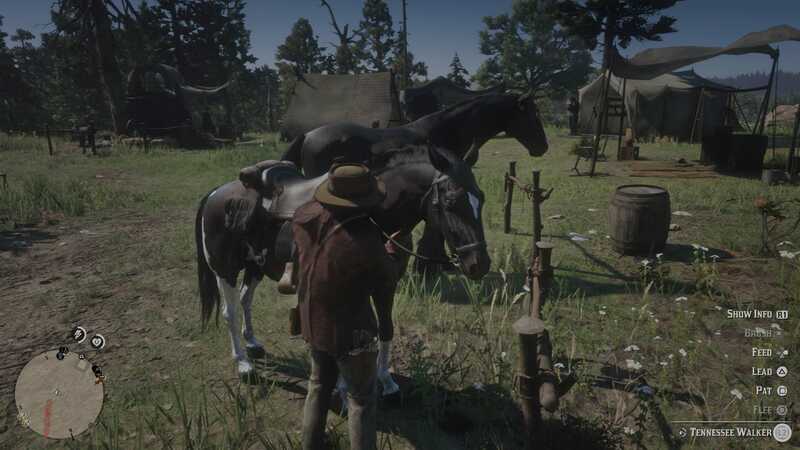 The vast majority of my time with “Red Dead Redemption 2” was spent with my horse. 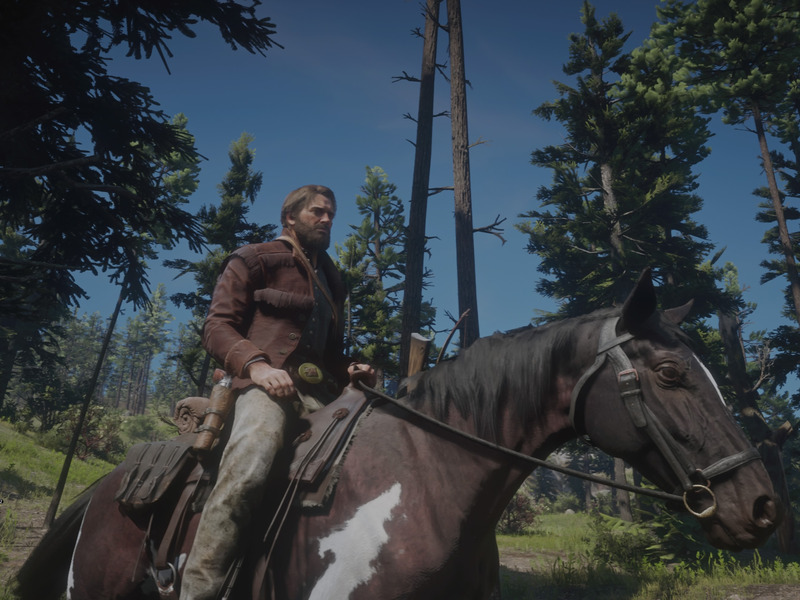 There’s even an in-game system for tracking Arthur’s bond with his horse, which unlocks new riding abilities as the bond strengthens. That’s before we start talking about differentiation in breeds and sizes and colours and saddles. If your horse runs off a cliff, or gets shot too many times, it will die permanently. There’s a lot of horse stuff. I’m only offering this many details about the horse system in “Red Dead Redemption 2” to highlight how important of a role the horse has in this game. It’s clear that the game’s developers wanted players to enjoy spending time with that horse knowing just how much time they’d spend galloping through the game’s massive open world. 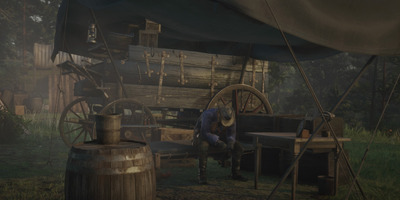 Whether Rockstar pulled that off is another question: Tonally, I appreciate the long quiet moments. It was a risky move! Personally, though? It can get pretty boring watching Arthur riding a horse for minutes at a time. “Red Dead Redemption 2” does characters like no other game this generation. Dutch Van der Linde is funny, brilliant, and full of life. 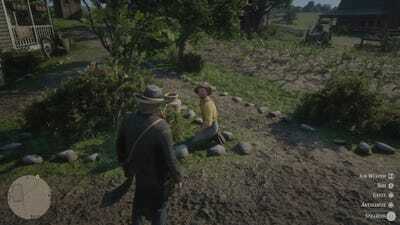 Arthur Morgan is loyal, obedient, and big on grousing. Each of the nearly two dozen characters in the Van der Linde Gang is distinct and worth your time. Not since the incredible “Mass Effect” trilogy has a game featured such memorable, interesting characters as in “Red Dead Redemption 2.” The gang’s camp is akin to the Citadel in the “Mass Effect” series – a kind of hub area where Arthur can speak with his fellow gang members, get drunk, sing songs, and all manner of other stuff. It’s the place where you can go to take a minute between story beats to recharge, learn about people, and resupply. Credit where it’s due: The memorable cast of gang members is brought to life by stunning work from a huge cast of voice actors. 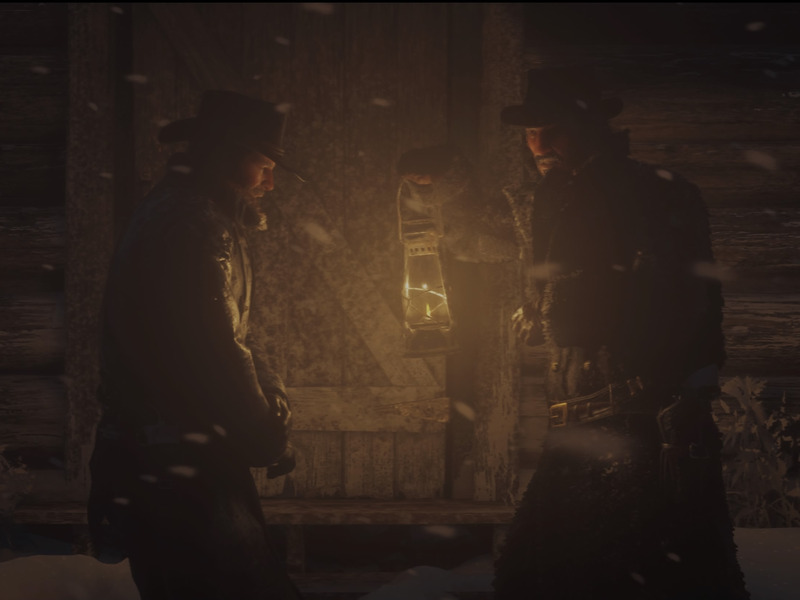 The voice acting in “Red Dead Redemption 2” puts that of other games to shame. The world of “Red Dead Redemption 2” feels alive thanks to a deeper level of nuance in player interaction. Rockstar Games/Take-Two InteractiveNotice the options in the lower-right corner for interaction. 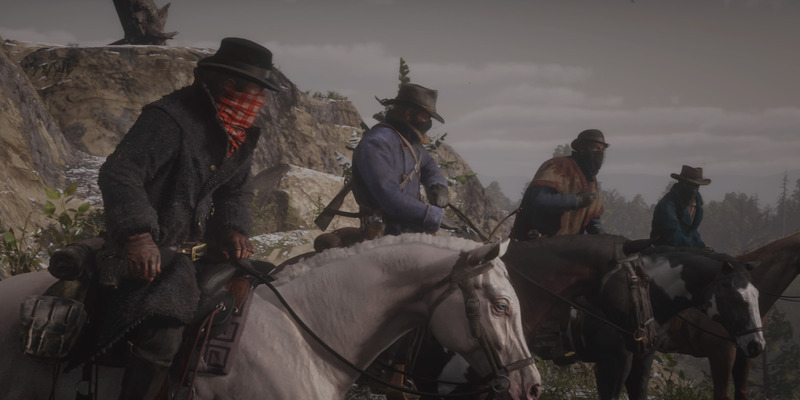 When Rockstar Games said that players could interact with every character in “Red Dead Redemption 2,” it wasn’t a joke. 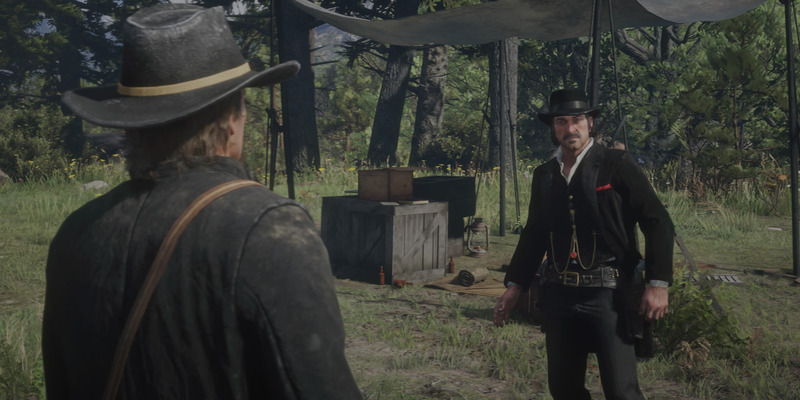 Literally every character found in the massive world of “Red Dead Redemption 2” is someone Arthur can interact with – to varying degrees. The depth of that interaction depends on a variety of factors: Are they scared of you? Are you holding a gun? Are you wearing a mask? Are you covered in blood or holding a body? Are they a shopkeeper? Do you have a past with them? Are you covered in mud, drunk, and barely coherent? Maybe go snag a bath at the local hotel. It’s this extra layer of depth that permeates the experience, from the way Arthur opens each drawer in a chest of drawers individually while rummaging for valuables to the fact that Arthur’s carrying capacity is limited to what you can visibly see on his person and/or horse. If he can’t fit a gun visibly on his person, he can’t hold it! It sounds minor, but that’s a meaningful level of detail that most games don’t bother with. It’s yet another layer of an already deeply complex world. That level of detail is captivating but can also be exhausting – looting houses is a time-consuming affair, just as it would be in real life. When do the ends no longer justify the means? Rockstar Games/Take-Two InteractiveArthur is facing the reality of his lifestyle coming to an end, while Dutch refuses to give in. It’s a major schism at the heart of the game’s narrative. 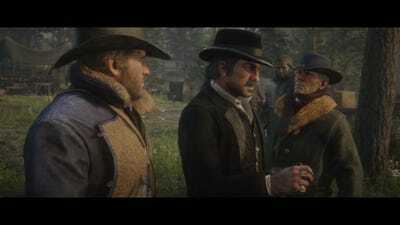 That’s the question at the heart of “Red Dead Redemption 2”: When is it no longer worth it to fight for a lifestyle that’s becoming extinct? As Pinkerton detectives and vengeful titans of industry clamp down on the Van der Linde Gang, the question becomes a wedge in the middle of an otherwise closely knit group of compatriots. It’s this feeling of increasing insecurity that confused me at first. I’m so accustomed to games progressing upward – where characters becoming increasingly more powerful as time goes on – and “Red Dead Redemption 2” is very much not that. It’s the story of a gang’s demise. It’s the story of industry’s rise to power and the end of the Wild West. It’s a sad tale, and often a slow one, but it’s one you shouldn’t miss. 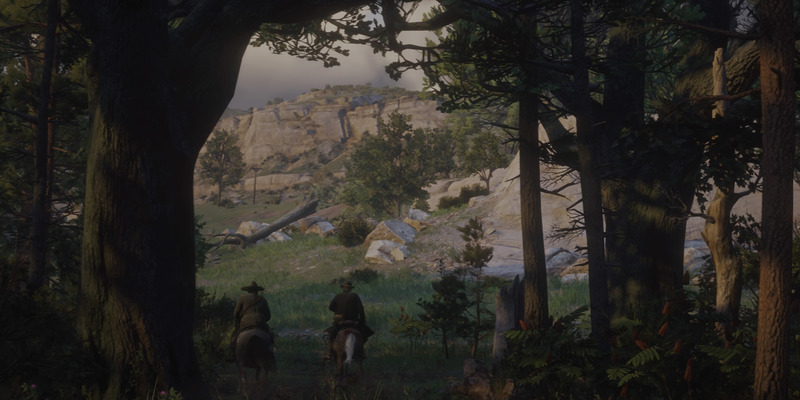 Worth a mention: “Red Dead Redemption 2” is the best-looking console game I’ve ever seen. It’s true – “Red Dead Redemption 2” is a gorgeous game. I played it on a PlayStation 4 Pro console with a 4K/HDR television, and there’s simply no getting past how beautiful it is to look at. Whether you’re trudging through thick snow in the early sections of the story, riding through shallow riverbeds at full speed, or just walking around town, the game is a visual showstopper at every turn. No caveats: “Red Dead Redemption 2” is the best-looking console game I’ve ever seen.